(fig. 2-3) is always in place over the ignition contact band. 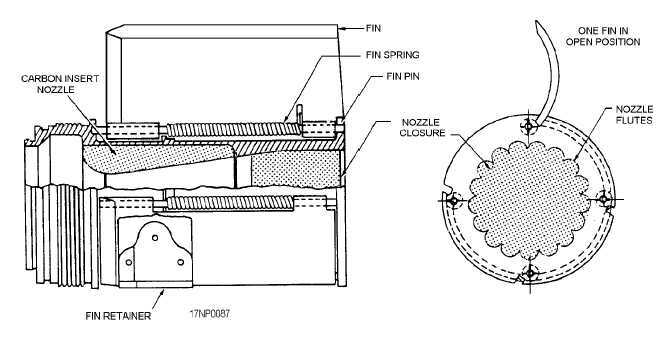 NOZZLE AND FIN ASSEMBLIES.The nozzle assembly for the Mk 66 consists of the nozzle body, carbon insert, fins, contact band assembly, and weather seal. Pivot pins attach the fins to lugs machined on the aft part of the nozzle plate. 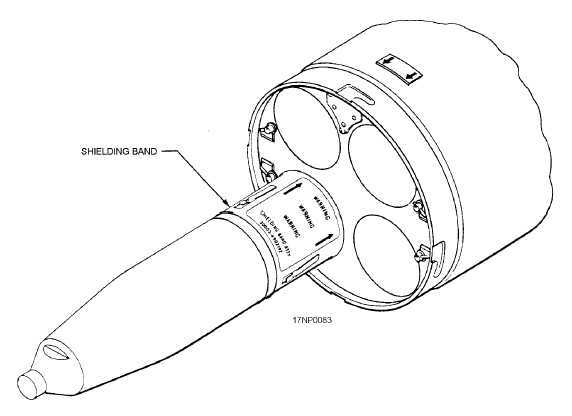 When folded, the fins lie within 2-4 Figure 2-3.Shielding band for 5.0-inch FFAR. Figure 2-4.Mk 71 Mods motor, nozzle, and fin assembly.